Mumbai: The month of September brought the spotlight on nutrition as the Union Ministry of Women and Child Development announced this month as Rashtriya Poshan Maah, the National Nutrition Month. Kellogg India joins in India’s fight against malnutrition and unveils the #BreakTheHabit of skipping breakfast campaign. Numbers say it all. A survey titled ‘Nutritional adequacy of breakfast: Its relationship to daily nutrient intake among children, adolescents and adults’ conducted in 4 key metro cities and supported by Kellogg India suggests that three out of every four (72%) Indians do not have nutritionally adequate breakfast and one out of every four actually claimed to skip their breakfast completely. Kellogg India’s power packed campaign aims to reverse these numbers and highlight how starting the day with a nourishing breakfast unfolds a power packed day. Designed with a strong purpose, this campaign is leveraging TV, radio and the social media platforms to create a movement across the country. Celebrities such as renowned chef Ranveer Brar, Celebrity and Fitness Enthusiast Mandira Bedi and the famous Chef Pankaj Bhadouria, the winner of MasterChef India Season 1 have signed up to support the movement and showcase how eating right and starting one’s day right ensures the right well-being and brings along far-reaching health benefits. An initiative aimed to encourage India to embrace morning nourishment as an unmissable part of its day, the campaign has already grown into a nationwide movement with leading lifestyle and mommy bloggers inspiring their followers to join the movement too! “Breakfast is the most important meal of the day! Unfortunately, not everyone starts their day with a healthy breakfast. A healthy breakfast gives you the energy to kick-start your day and has been proven to increase cognitive performance in the classroom, improve nutrient intakes, kick-start your metabolism, promote physical and mental well-being and help you to make healthier choices throughout the rest of your day. 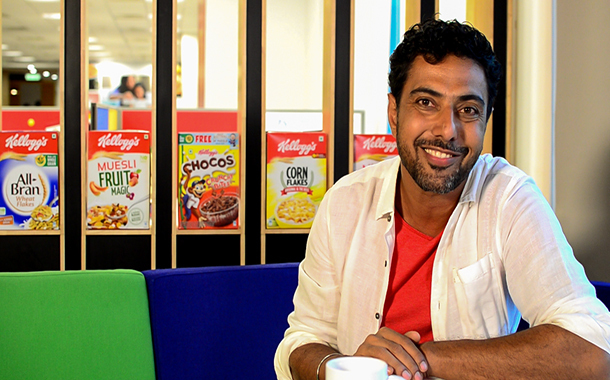 Not only is it convenient, ready-to-eat cereal also makes it easy to start the day with the nutrition people need,” Chef Ranveer Brar adds.